Sure, that’s good advice. And if your advisor is generous or in content marketing nirvana (either will do) she continues with telling you why you should start content marketing now. More sales (= more money), more traffic to your website, more email subscribers, more leads. And the “more” is endless. Or so it seems. But could that mean you’re missing out on other benefits of content marketing? Is it always all about more money, more subscribers, more traffic, and more leads? No. That’s the short answer. The following benefits of content marketing tell you more. Public relations is a broad term. Or somewhat broad term. When we talk about benefits of content marketing, let’s say a part of it like blogging, we can say it makes us money. And that’s acceptable. But nobody lists the different ways you earn money from blogging as a benefit of blogging. You can display advertising to get money…etc. They all fall under “you can earn money” from blogging. It’s the same with PR. Content marketing enhances your reputation, helps you become a thought leader. They’re right. But itemizing it is like itemizing different ways blogging makes you money. Let’s imagine something bad has happened with your business or company. Maybe you or your staff made a mistake that affected several customers. Maybe your product is faulty. Maybe you’re experiencing financial crisis and its affecting the quality of your products. Have someone whip up a press release for you? Not bad. But think for a moment. If you keep publishing updates via a press release, your customers will have to browse through hundreds or thousands of press releases to find updates on the situation. Or keep doing a Google search, hoping a media outlet will have updates on the situation. The most optimistic ones would keep typing “(company name) (insert problem) resolved” to check for positive results. Joel apologized for the inconveniences caused by the security breach. And promised to post updates of the situation—there were ten updates in all. Joel and his co-founder were active in the comments section addressing questions and concerns of customers. Go read the comments to find out how impressed (generally) customers were. 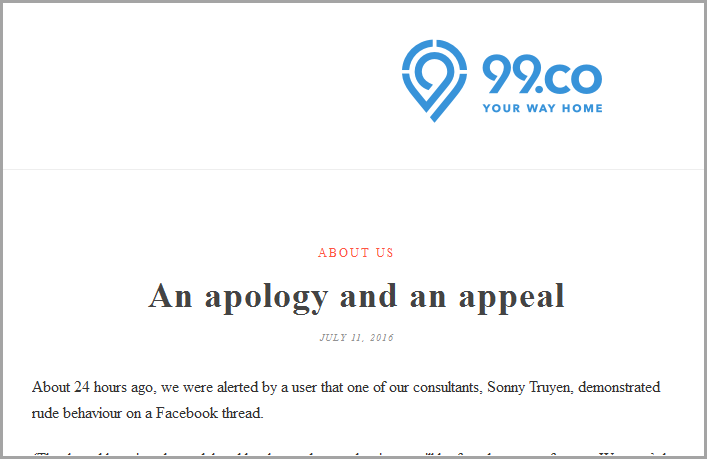 Other examples include Singaporean realty portal, 99.co’s apology for the misdemeanor of an employee. 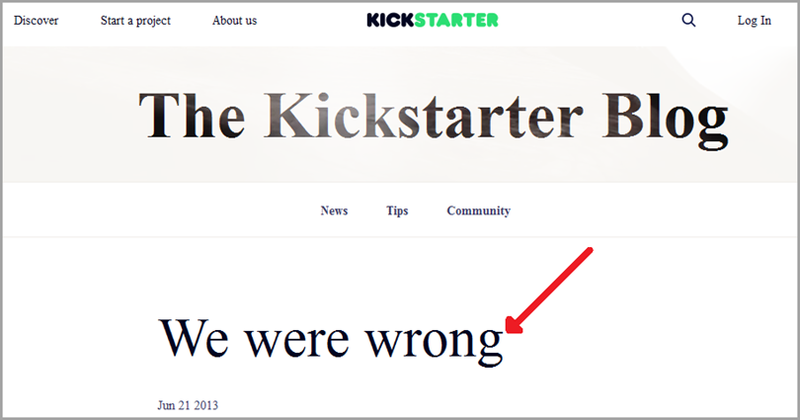 And Kickstarter’s apology for not cancelling an offensive project even when people wrote in asking them to cancel it. Research has shown that leaders who are humble enough to admit mistakes will be viewed more favorably by their followers. It’s always better to hear you admit you’re wrong on a medium you control than from third-party sources. Posting company announcements, arrival of new hires, product updates, apologies when wrong, etc. are all good PR tactics. Any news outlets reporting any new developments in your company will link back to the original article on your blog. And that’s some white-hat link building there! Okay. Doesn’t mean you should go out of your way to create problems so you can build links to your site. But creating content that solves problems your target customers or your customers have shows them you care. For example, let’s call your product or service “F.” Imagine a prospect searching “how to do P on F product” or “ways to improve F service” and a blog post you wrote, a video you created, or an e-book you published pops up in search results. When that happens, you’ve not only successfully spread information—part of what a good PR firm does—but you’ve also controlled the tone and narrative of such information. 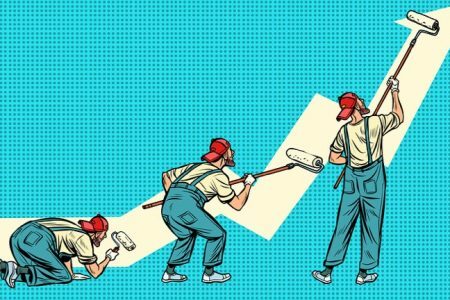 When you do content marketing well, your reputation and the public’s perception of you improves. It won’t be automatic, but you’ll see positive results. Sure, content marketing is about creating and distributing relevant content to inform or help you attract customers. So some go ahead with hiring freelancers to help them create content. (Let’s call content blog posts here.) That’s not bad. Not working with writers (freelancers) long-term: This may not entirely be your fault. Maybe you hired the wrong writer and you had to end the working relationship sooner. Not hiring someone (people) solely for content creation: Doesn’t matter what you’ll call them—content marketer, marketing manager, growth hacker, writer—you need a “content person” or “content people” on your team. Heck, your whole team can create content! Posting with your brand name: Ever seen a brand called “We Hate Beans” having “Wehatebeans.com” as a writer on their blog? Confused? See what I mean below. 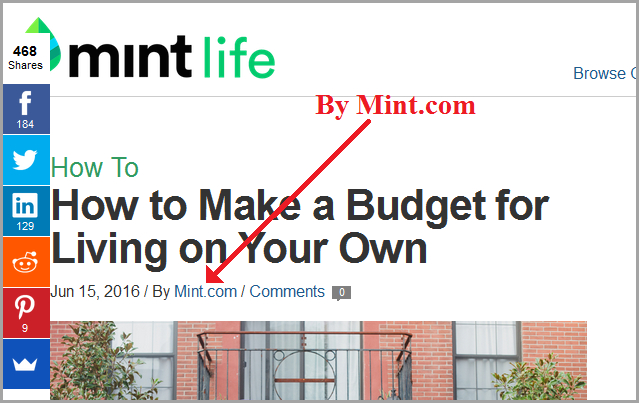 Mint.com has a blog updated regularly. Commendable. Apart from having faceless and “bio-less” writers, they also have a writer called “Mint.com”. Who is “Mint.com? I don’t know. But I know you’d probably be surprised how many business blogs have writers called different variations of their brand name. People do not visit your blog to see your logo on author pictures. Or your brand name on author names. They want to see the picture and name of a real person, someone they can associate with your brand. In a discussion at Inbound, someone asked Brian Dean, founder of Backlinko what he’d do if he was trying to build an audience from scratch now. 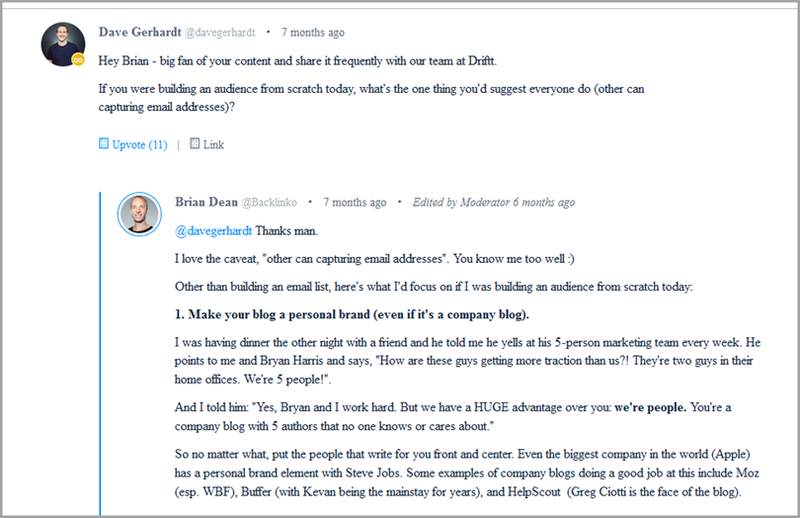 The first point in his response was (bold is mine): “Make your blog a personal brand (even if it’s a company blog). Let’s see what this looks like in practice. Even in guest posts, it’s obvious what brand they represent. Check out Kevan’s author bio on Entrepreneur magazine. Or Greg Ciotti’s bio on Fast Company. Let’s assume you’ve visited the HelpScout and Buffer blogs and you’ve read several posts written by Greg and Kevan respectively. You leave, maybe without subscribing to either blog when you stumble on their guest posts elsewhere. Is it not easier to remember Greg as the “HelpScout guy” and Kevan as the “Buffer guy” from those bios? I can also add Steli Efti. He’s the face of the Close.io blog. Not just because he’s the co-founder of Close.io, but because he’s at the forefront of content creation on the blog. I know you’re now asking: what if our “chief evangelist” suddenly leaves us? You see, before Kevan Lee came to Buffer, their present COO Leo Wildrich was the face of Buffer. He had written about 150 guest posts (in nine months) that helped get Buffer its first 100,000 customers. He did this while consistently updating the Buffer blog with useful content (over 200 blog posts). Most of them were written between 2011 and 2013. Kevan was hired in 2014. You know how many posts Leo has written on the Buffer Social blog since then? Just two (at the time of this writing). What if you want to do content creation yourself? Great! Whatever form of content you’re using, make sure you’re consistent with it. That will help your quest to become the new face of your brand. Maybe you’re not a good writer and you still want to create the content on your blog and elsewhere? Hire a freelance ghostwriter, or use a content agency, whichever you can afford or whichever one meets your needs best. Post with your real name. Let your personality shine through. Your audience will become familiar with you over time and love you too. Do it well, and you’ll become the [insert business name here] guy sooner than later. 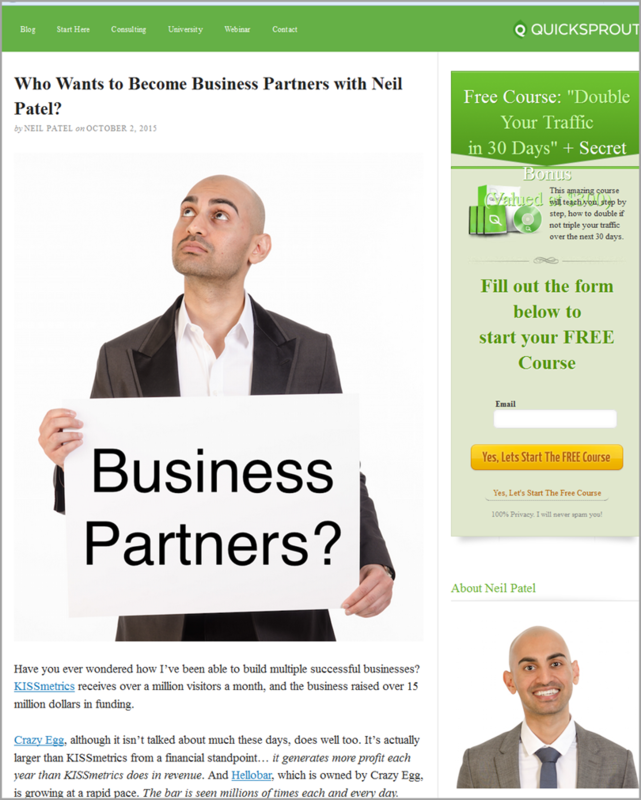 Neil Patel posted this last year on his Quick Sprout blog. See what he did there? He did not visit Indeed or Flexjobs or any job portal to post the vacancy. He did it on his blog. An update below the post showed he found good fits for all three positions advertised. Advertising three positions in his company too. Know what else Josh did? If the subscribers are not interested or qualified, he asks them to forward the job description to people they think might be a good fit. If you do not want the job, but you know the values of the company through its content, would you not recommend it to a friend or relative who’s a good fit? 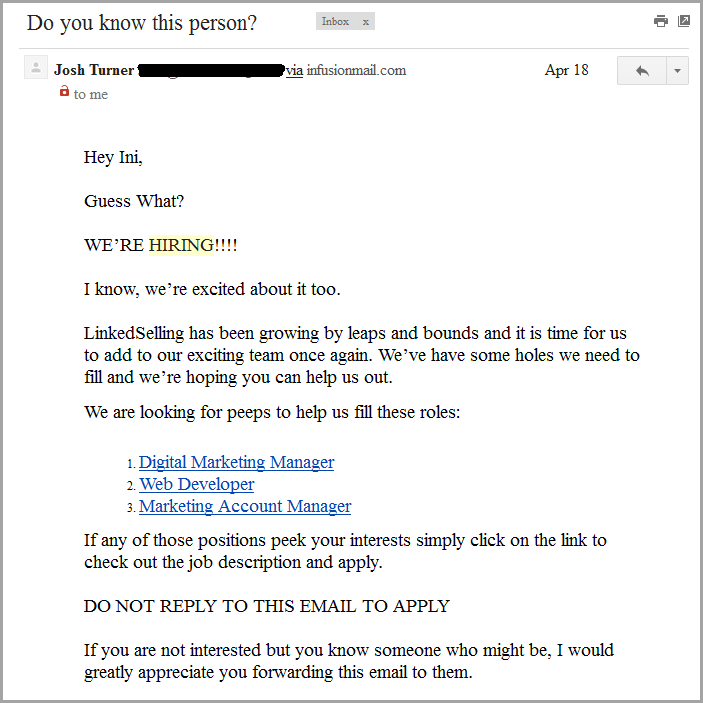 Posting job adverts on your blog or sending them via newsletters don’t tell the full story either. Have you ever received pitches from people seeking to fill a need in your business? I don’t mean generic pitches sent to a hundred other unsuspecting businesses. I don’t mean pitches sent because they want to make quick bucks. I mean 20-page PDFs showing a thirty-day marketing plan for your business. I mean slides showing how your product can be improved based on interviews conducted on your customers. I mean documented usability tests for your products. I mean proposals that blow your mind and sell you aspirin to soothe it. You’re about to start a content marketing campaign and you’re on a mission people can’t resist being part of. You’re already doing content marketing and you’re giving so much value and people want to pay back in some way, help you get even better. You see, content marketing isn’t a guarantee you’ll work with great people, but it sure helps. 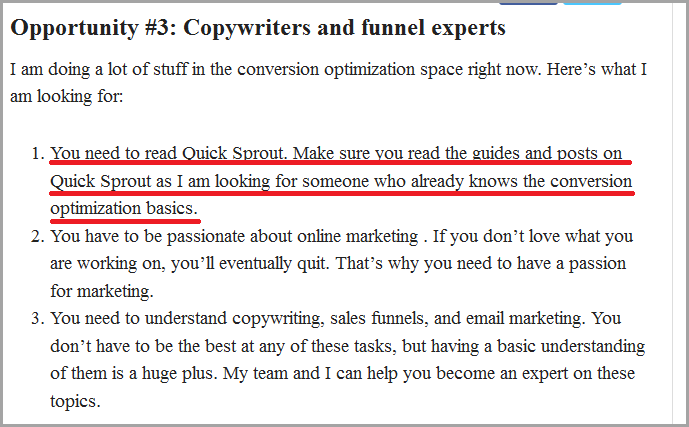 Look at this part from Neil Patel’s advert on his blog. 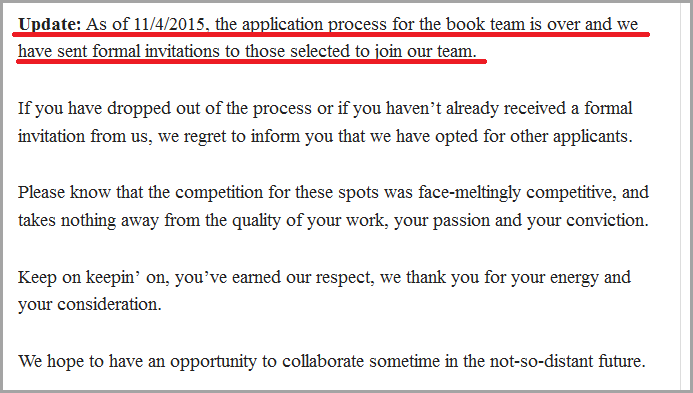 That was for the copywriting position—the third position advertised. Well, it doesn’t mean you shall write about content marketing so you can educate your content marketer, when your blog is about making and closing sales. Or write about copywriting so you can educate your copywriter, when you run a health blog. Your blog should contain useful and relevant articles about your product, business or service. 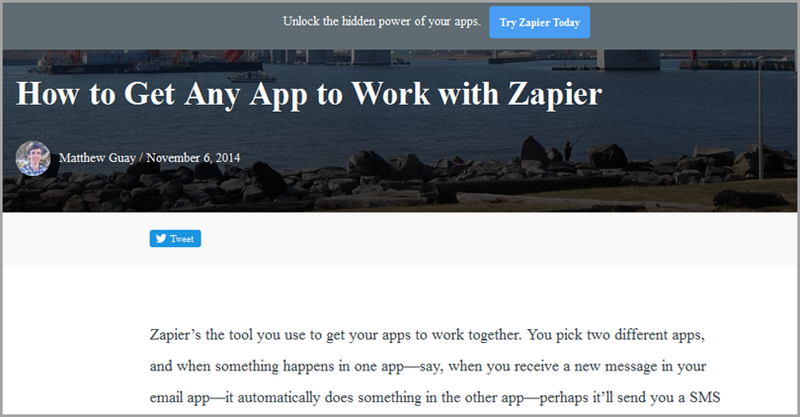 That’s a blog post on how to integrate Zapier with any app. Customers will find it informative and useful, and so will Zapier employees who may not be so geeky. In that case, when employees can help themselves, they can help customers better. Or this guide on how to work remotely. Since they’re a remote team, this helps new hires manage their time, projects, and communication with coworkers effectively. 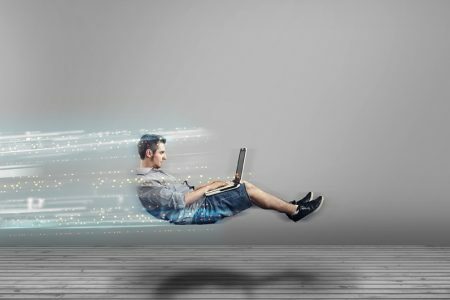 Customers who are considering hiring remote workers or customers working remotely can also benefit from the blog post. 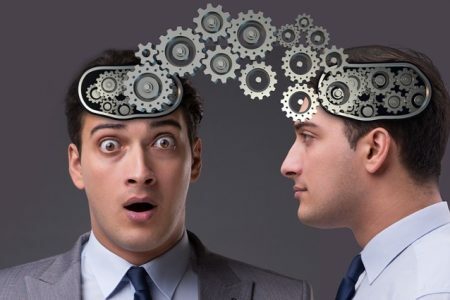 Directly or indirectly, employees learn from your content. 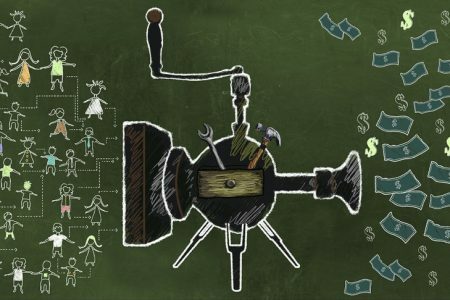 Other company blogs educating employees with their content include Buffer, Close.io, and Wistia. 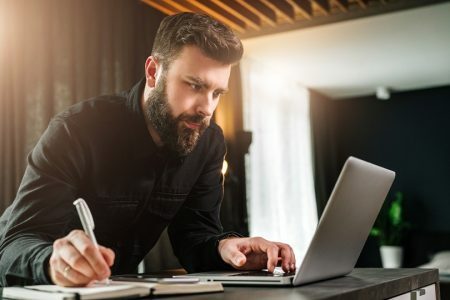 A list of company blogs educating employees via their content marketing is probably an idea for another post. Again: your customers are potential employees. When you produce great content, it helps them too. 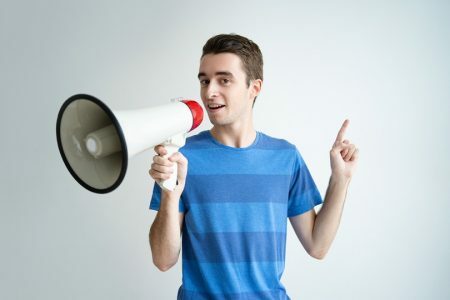 When people talk content marketing, it’s often about how much it can help businesses make more sales, generate more leads, and retain customers. That’s right. Content marketing does all that. And more. Only that by businesses, it’s easier to forget solo-preneurs or creatives. They often don’t have or start with co-founders, marketing teams, and ultimately marketing budgets. Okay, unless to you, having time means having a marketing budget. Because you believe “time is money.” But you get the point. At least. When I think of people who have built a career via content marketing, I easily think of Bamidele Onibalusi. He’s a successful freelance writer who built his business solely via content marketing. For him that meant guest blogging. His guest posts created a system where clients come to him (and now through posts on his blog too). If you’ve been reading this blog for a while you’ve likely stumbled on his posts here already. I also think of Lain Ehmann. She’s one of those “follow your passion” success stories. Her story is inspiring, especially if you feel your passion is too weird to possibly make a living, let alone build a career from it. She’s built a multiple six-figure business by creating content on scrapbooking (yes, scrapbooking). Over the years, her content has included not just blog posts, but videos, podcasts, and books. The beauty of content marketing is it allows you to build relationships with people who enjoy the same things you enjoy, or who need help with things you can do easily. 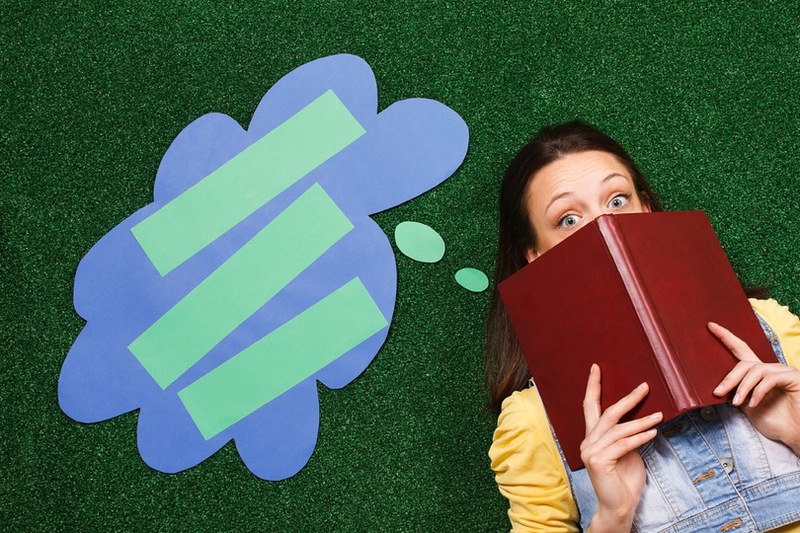 So, no, content marketing isn’t only for businesses with marketing budgets. Creatives can build their careers through content marketing. So, you want to make a living teaching others what you know? Content marketing can help you with that. Or you want to make a living serving people with skills you have? Start content marketing. Just search, and you’ll find most people doing content marketing successfully make money from courses, books, speaking, and providing services (including Saas). So we can call them authors, speakers, teachers, even entrepreneurs. Content is just a freebie they give away to attract customers or clients. Content marketing is hard work, and you deserve to be rewarded for your efforts. Nobody can blame you for thinking it’s just about making more money, building your email list, or getting more traffic to your site – it’s discussed frequently. But now you’ve seen other ways content marketing can help you and your business. So, even if you’ve enjoyed all the other benefits you’ve heard content marketing can bring, do not limit yourself to them. When you’re thinking in terms of the benefits mentioned here, you’ll still get you more money, more subscribers, more customers, more leads. So take advantage of your existing content marketing efforts, or just go ahead, start content marketing. Guest Author: Iniobong Eyo is a copywriter and content strategist. He helps businesses get serious with their content marketing by planning, developing, and managing their content for greater ROI.